The Saints clowned the Eagles for 60 minutes on Sunday. Many thought the Philadelphia Eagles were going to get their asses handed to them by the Saints in New Orleans. And hey, they were right, and then some! As always, win or lose, we hand out 10 awards. There's zero doubt that the Eagles miss Frank Reich and John DeFilippo. 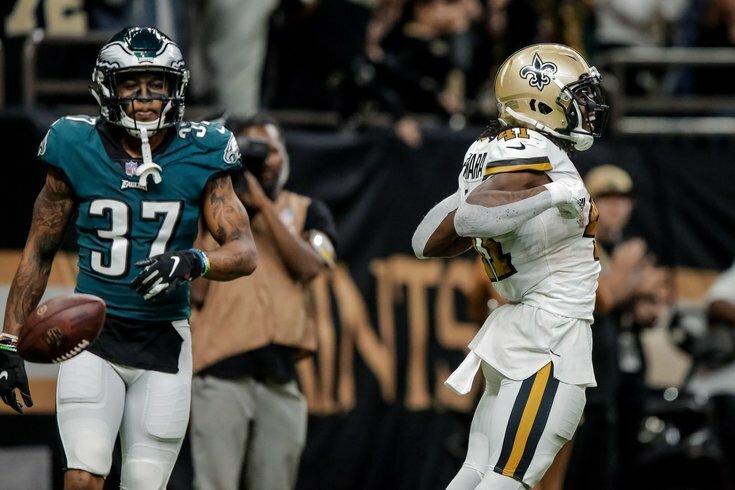 After losing Sidney Jones, Avonte Maddox, and Rasul Douglas on Sunday after already missing Ronald Darby and Jalen Mills, the Eagles' corners were Chandon Sullivan, DeVante Bausby, and Cra'Von LeBlanc. Honestly, those sound like computer-generated names when you play Madden in franchise mode. That "fourth quarter of a preseason game" trio vs. Drew Brees went about as you would expect, as you all saw. Of course, before Douglas was lost with an injury, he was toasted repeatedly by the Saints' receivers. That's now the second straight week that Douglas has looked overmatched. When Jalen Mills looks like Deion Sanders by comparison, that's not good. If the front office thought this team was realistically going to compete for a Super Bowl, thus trading a Day 2 pick for an eight-game rental in Golden Tate, they were operating under pure, unadulterated delusion. Tate has 7 catches for 67 yards in two games, by the way. More bothered by the 7 than the 45. 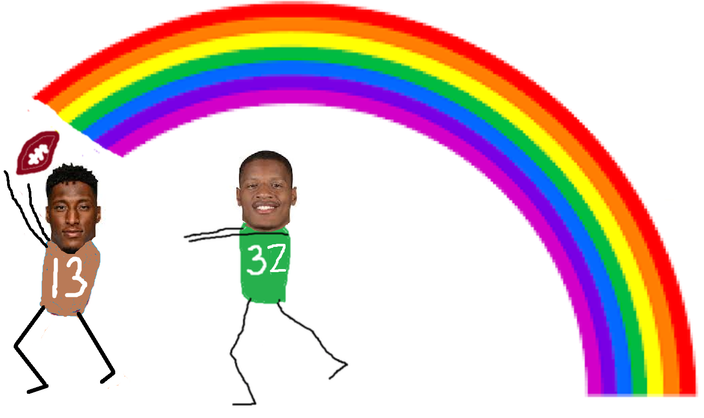 The point there is that most kind of knew that the Eagles' defense was going to get steamrolled. But the Eagles' offense laying an egg the way they did against what is arguably a bad Saints defense is inexcusable. When the Eagles were rolling over teams as at around this point in the season last year, they weren't bashful about clowning their opponents. Against the Bears, for example, they did the Electric Slide after a late interception by Douglas. When that interception got wiped off the board because of a penalty and Corey Graham intercepted a pass later in that drive, they did the Electric Slide again. On Sunday, the Saints clowned the Eagles all game. And obviously, there were ample opportunities to do the clowning. The punter kinda-sorta suplexed a guy. So at least there's that? The Eagles have been out-coached in almost every game so far this season. Doug Pederson's job will be safe at the end of the season, but I think it's fair to wonder if both coordinators' jobs could be on the line after this mess of a season is in the books. The NFC East-leading Washington Redskins lost as well on Sunday, so the Eagles kept pace with them, I guess. But really, who cares? The Eagles are more likely to finish last in the division than first. I mean, are they any better than the Giants right now?